Bear with us as we catch you up on how 2011 ended! There is a plethora of things to tell you about! 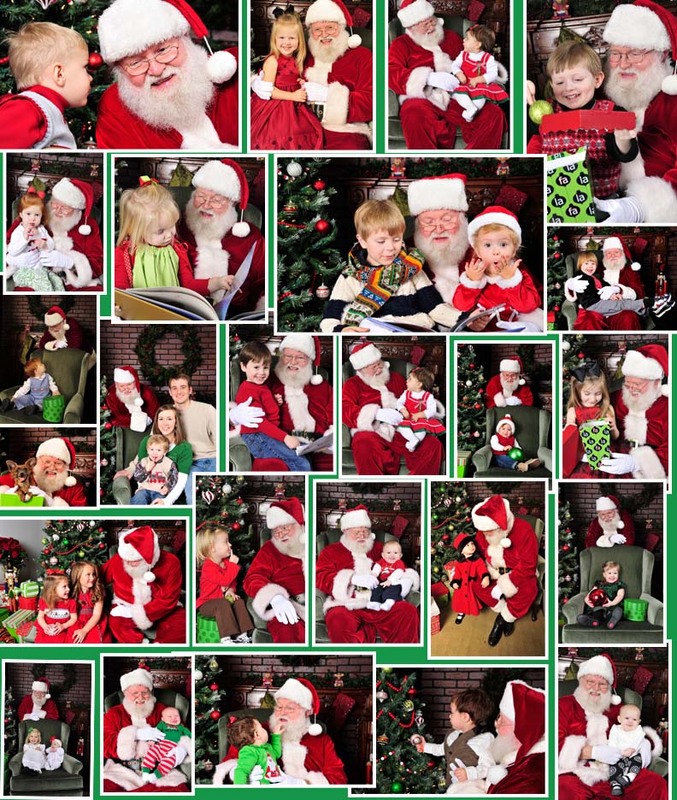 First off, there are our wonderful Santa sessions! During the month of December you may have noticed a jolly man in a red suit wandering around the lab. No, it isn’t Wilson in town for a visit, he is actually our wonderful Santa! We are so blessed to have the BEST Santa anywhere, the REAL Santa. Well, as far as we are concerned anyway. We had a record number of little ones pay him a visit this year. Each one having an experience you can find in few other places. Aside from our one of a kind Santa, the other thing that sets us apart, is the entire experience a child has when coming here. There is a private comfortable environment where children are at ease to get acquainted with the man in the red suit and tell them all their wishes! They have the opportunity to read a story with Santa and then each one receives a treat as they leave! This is by far one of my favorite times of the year with all those smiling faces (although not without a tear here or there) but knowing how many memories were made definitely keeps a smile on my face! Next up is an event that we have had the pleasure to be a part of for many years (dating back to pre-f/32). Santa at Franklin Square is a fun family event where children have the opportunity to climb into Santa’s sleigh and be photographed as well as put in their requests. It is an all day affair, perfect for families to spend the day in Christmas cheer as they walk around the shopping center. Children’s activities, puppet shows, choir singers, face painting and even a horse drawn carriage creates and atmosphere that will keep you coming back year after year. And lastly, we were invited to participate in Dog Days at Ijams Nature Center. 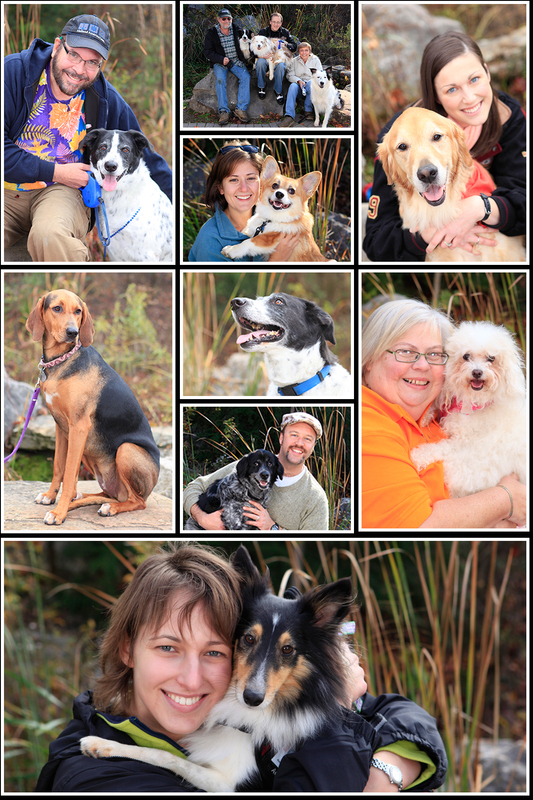 Lots of owners and their puppies stopped by to have a portrait made while exploring with other vendors and meeting new folks. Ijams Nature Center has decided to partner with Poo Prints, a green initiative helping improve local air and water quality to create a cleaner and greener community, and this was the perfect launch opportunity! In 2011 we were very fortunate to develop a fabulous relationship with the people at Ijams and take part in several of their events! Hopefully we will have more opportunities to join in their fun events this year! So to recap, we had a very busy end of 2011 and are anticipating a lot of greatness for 2012! Enjoy the images below collected from our various ventures over the last few months! A big thanks to everyone who was a part of making 2011 a HUGE success! Everyone at the Studio at f/32 Photo is excited to launch the first of several events this fall! First up is the Ijams Nature Center Fall Plant Sale and Festival! 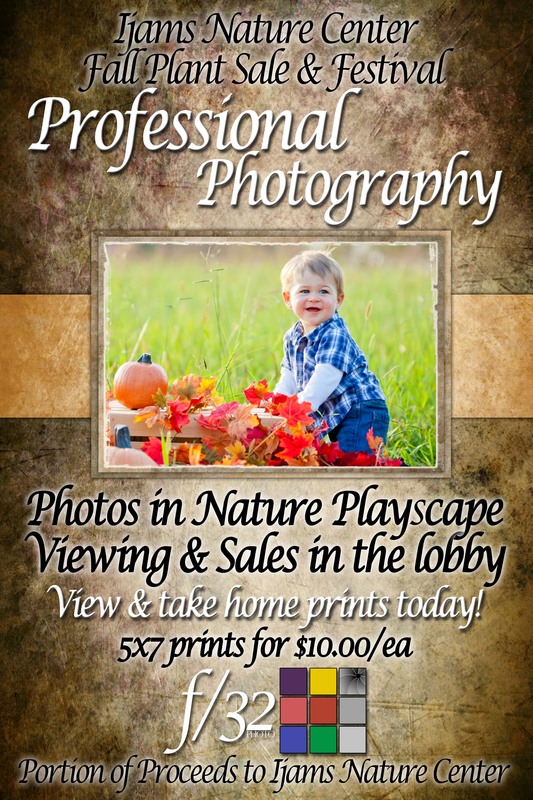 F/32 Photo will have a booth and will be taking fall pictures and selling 5×7 prints on site. We are donating 20% of our profits back to the Ijams Nature Center. Ijams Nature Center Plant Sales encourage the use of native species in our own backyards with in turn help sustain East Tennessee’s natural beauty. As an additional plus, these plants require less maintenance! The Fall Plant Sale includes other great craft booths, gardening workshops, kids’s activities, live music, food, and more! What a great way to spend a Sunday with the Family! So come on out, walk around, and don’t forget to get your picture taken this Sunday Oct 2nd from 9:00 a.m. – 3:00 p.m at Ijams Nature Center. Check back later for more information on our Halloween Costume Contest at the Studio at f/32! Mac or PC? How about both! 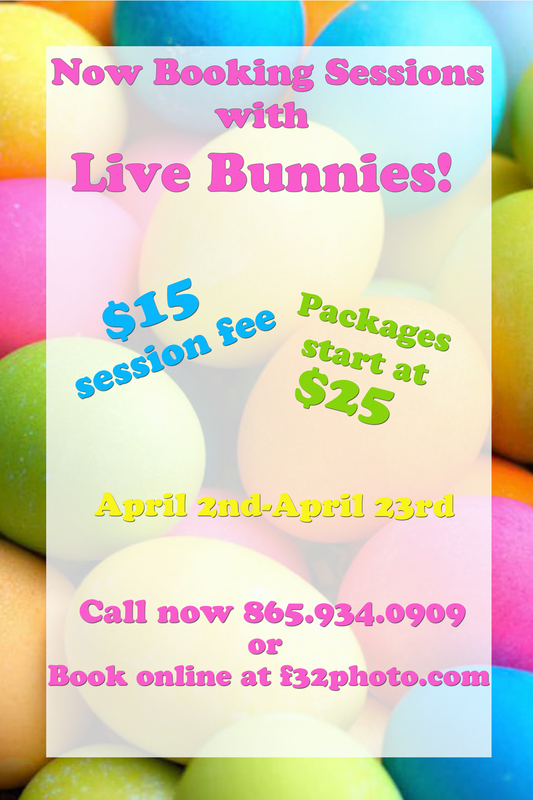 We have had our hands full here at f/32 Photo the last couple weeks with two adorable bunnies! With Easter only a week away, I thought we should do a recap of all the wonderful photo sessions and funny moments with two of our most mischievous bunnies. 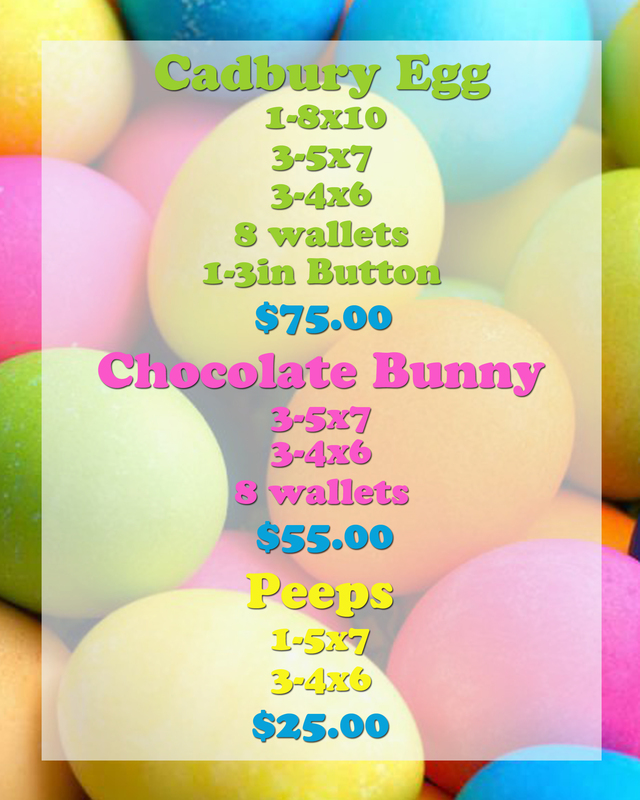 Also, just as a reminder, the bunnies do need a great home after Easter! The f/32 Santa Experience 2010 was fantastic! Santa saw lots of smiling children and a few pets too! Everyone came to hear Santa read them a story and have some one on one time with “the big guy” before he was scheduled to make his rounds that cold winter night! With all of the wish lists and promises of cookies I am sure that all the boys and girls as well as Santa had a great Christmas! I hope you had a chance to come in an say hello, but if you missed him, be sure to make it by next year! If you did come by remember you can still order prints here! Check out some of our visitors from this Holiday season! Don’t forget f/32 has a portrait studio year round and different scheduled events throughout the year! Stay tuned for details of our next event!